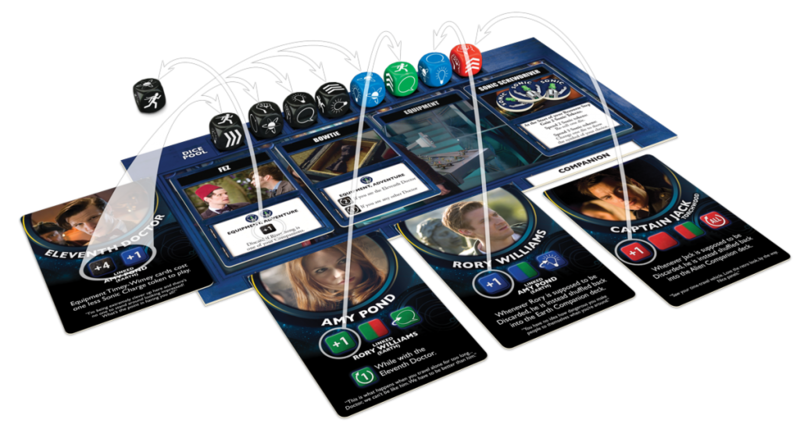 Gale Force Nine has teamed up with the BBC to bring us the Doctor Who: Time of the Daleks board game, and they’ve just released more details on how the game will play. 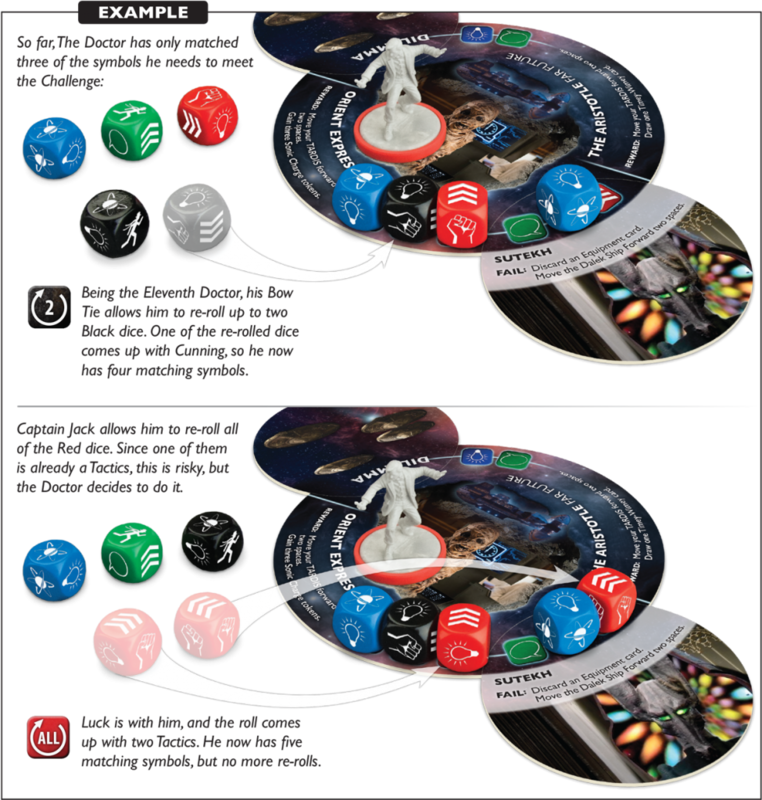 Players will all take on the role of the Doctor as he travels through space and time. Throughout the game, you’ll be finding new companions and overcoming challenges. The main goal is to get to Gallifrey before the Daleks do. 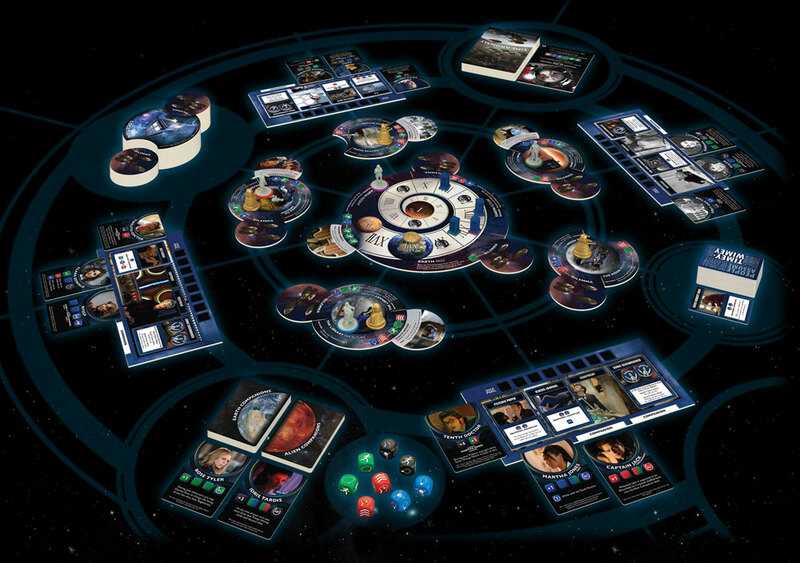 The how to play page does mention that the game will last until “one of more players wins the game, or the Daleks win the game.” So I guess this means it’s a partial co-op board game? During your prepare step, each player will be able to gain Sonic Charges (which can help you re-roll dice), install and uninstall equipment, and dismiss companions. The Doctor will next want to travel to a new location to or try to deal with an unfinished dilemma at their current location. 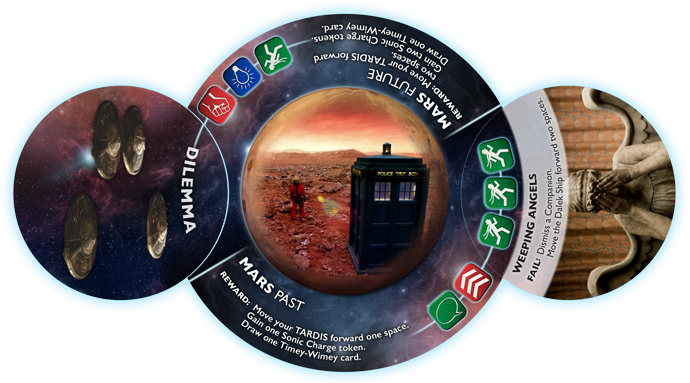 If you’d like to go somewhere new, you’ll have to roll the Tardis die. Get a Tardis, and you get to go wherever you’d like. But if a question mark comes up, the Tardis decides that she knows best, and you’ll have to draw a random location from the top of the deck. Now it’s time for an adventure. At the beginning of this phase of your turn, you’ll have the option to recruit a companion. And then it’s on to trying to deal with a dilemma. When you run up against a challenge, you will need to roll your dice to overcome that challenge. In order to be victorious, you’ll need to match the required challenge symbols with your dice. You will build your dice pool by gathering your starting dice pool. Then your companions will help you swap out dice for different colors. This will help you focus your dice to successfully overcome the dilemma. At that point, you will discard down to eight dice, which is your dice pool maximum. The Doctors and the companions all have abilities to help you even the odds of rolling the needed symbols. Some Doctors, Companions, and Timey-Wimey cards will have re-roll icons on them. These let you re-roll the dice of the indicated color. But these abilities can only be used once per game. The Doctors will also have their trusty sonic screwdriver along for the adventure, which can help them out of a sticky situation. You’ll be able to spend two Sonic Charge tokens to re-roll any one die. Yet another way to mitigate a poor roll is by discarding a black die. If you discard a black die, you can re-roll all of your dice. This can be done as many times as you have black dice to spend. Players could also potentially have access to abilities that allow them to change the face of a die, or to switch out one die for another color die. Doctor Who: Time of the Daleks kind of reminds me of Elder Sign, which has some similar mechanics (travelling to locations to overcome challenges that require dice symbol matching), but it definitely looks like it’s going to be different enough that it will be worth checking out. The game also looks like it’s going to be lousy with theme. If you’re a big Doctor Who fan, you’ll see all your favorite Doctors and companions represented in the game. For me, the game seems a bit pricey, at $75. I enjoy Doctor Who, but I’m not a super fan, so this game isn’t a must buy for me. There’s a lot of dice rolling involved with this game, and I am notoriously awful at rolling dice. This curse (really not sure what I did to offend the dice gods) could definitely hamper my enjoyment of this game, so I will definitely want to demo it before I commit to buying it. Gale Force Nine has more detail about the game posted on their website. 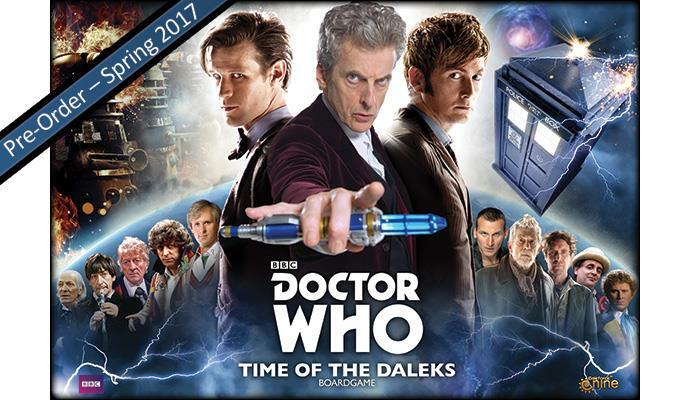 Doctor Who: Time of the Daleks is for 2-6 players, takes about 2 hours, and will cost $75. Gale Force Nine says they expect the game will be out in Spring 2017.